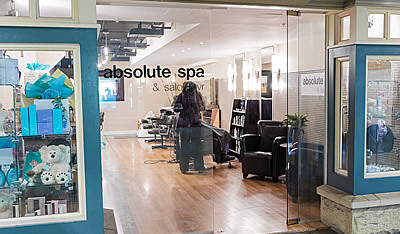 The world renowned Absolute Spa brand was started by a dedicated husband and wife team, Sergio Cocchia and Wendy Lisogar-Cocchia, who were determined to make a positive impact in the lives of others. They broke ground 20 years ago, by opening the first Absolute Spa location at the family’s Century-Plaza Hotel in downtown Vancouver. From there they grew the company into Canada’s largest and internationally recognized spa chain drawing in celebrity guests such as Gwyneth Paltrow, Zac Efron and BC’s very own Michael Buble, gracing the cover of Spa Canada 3 times and being voted Vancouver’s number one spa 25 times. 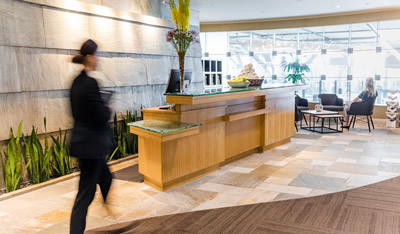 To date, Absolute Spa Group has received over 80 industry related awards for spa excellence, including CNN.com “Top Airport Spas”, London Daily Express “Best of Vancouver Award” and Business of the Year awarded by the West Vancouver Chamber of Commerce. The spa’s success can be largely attributed to the drive and passion of Wendy Lisogar-Cocchia. Wendy brings an unparalleled desire to engage in the community and to give back. 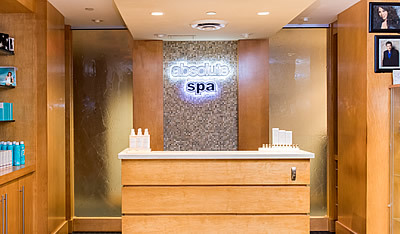 As a result the Absolute Spa brand is widely recognized as a leader in the community. Among her many accomplishments Lisogar-Cocchia founded the Century Plaza Hotel & Spa Women’s Media Golf Classic, an annual event that has raised more than $2.6 million for various children’s charities, with over $1 million donated to Variety, The Children’s Charity. Projects funded by this philanthropic endeavor include the Vancouver Oral Centre for Hearing Impaired Children, the Children’s Foundation, the Down Syndrome Resource Centre, Mediated Learning Academy and most recently, Wendy & Sergio dedicated themselves to the development of Pacific Autism Family Centre which is a parent-led initiative to establish a “knowledge centre” for the Province of British Columbia. The new autism family center is a charitable organization with a mandate to serve the needs of individuals with autism and all related disabilities and their families across their lifespan. The hub will provide a “one-stop-shop” for families looking for support in their navigation of information and services. It will also lead to new ideas, innovation solutions and new streams of research. 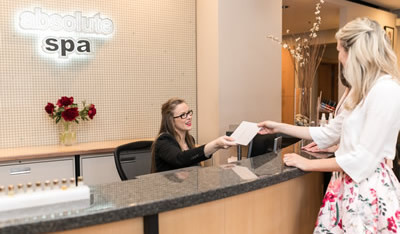 With community focus and service excellence at the heart of Absolute Spa’s foundation, the spa is proud to continue delivering on these values with every experience each guest has. With an accomplished history and dedication to community, Absolute Spa will continue to improve the lives of others for years to come.